This beautiful movie will be shown in The Town Hall Theater this Sunday, November 3rd, at 20:15. Especially recommended for Fellini fans and for all those in love with Rome! Jep Gambaradella is an elegant, sad-eyed bachelor, now 65 years old. He is a famous journalist and man-about-town, whose early promise as a novelist was never fulfilled. Jep is entirely content with The Roman shallow and amusing world in which he lives. He is connoisseur of its exquisite surfaces. But one day a man of Jep’s age arrives on his doorstep to tell Jep that his wife has just died – a woman who turns out to have been Jep’s first love when he was 18 years old. A film of aristocratic ladies, social climbers, politicians, high-flying criminals, journalists, actors, decadent nobles, prelates, artists and intellectuals engulfed in a desperate Babylon which plays out in the antique palaces, immense villas and most beautiful terraces in the city. We don’t have many chances to watch Irish cinema in this country; even on dvd one wouldn’t find this type of films easily on the usual dvd shop’s shelves. It’s a big shame for I think the Irish cinema has most of the best European films nowadays. You could even say it’s too depressing to watch one of them…even though there’s always a hint of humour and irony, not always easy to guess. That’s why here’s a small remark of one of the new films made in Ireland, Pilgrim Hill, directed by the young Gerard Barrett, winner of the Rising Star at this year’s IFTA. the ocassional pint nearby to make his existence run a bit smoothly as his life is about to take a turn he’s not expecting. Barrett’s debut film was premiered at the Galway International Film Festival in Ireland and immediately garnered critical acclaim; the fiml was called a “masterful debut from a first time filmmaker”. He won the Best New Irish Talent Award at the Festival and the film won the Irish Times Best Film of the Festival. Yes! The new year comes with loads of cool stuff! The Galway Film Society is back to delight us with a good bunch of films for almost 2 months. Fresh and independ ent cinema in v.o. for any film-geek to enjoy away from popcorn-and-coke mainstream cinema. 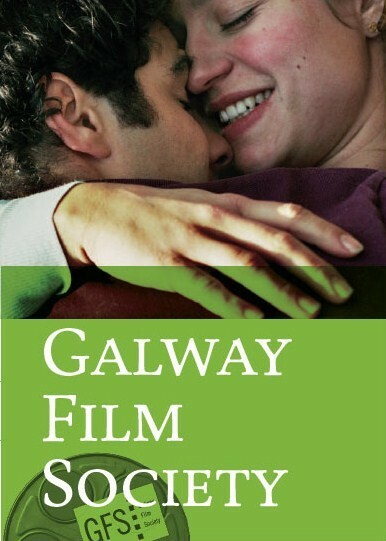 The best opportunity in Galway to taste a bit of European cinema at a very affordable price. The venue (the Townhall Theatre) is quite small so better book in advance for a good seat or you’ll get up next day with a pain in the neck!